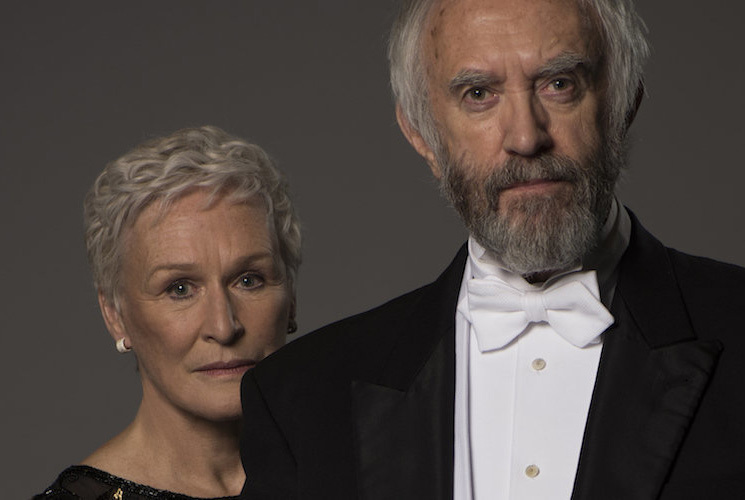 When celebrated writer Joe Castleman (Jonathan Pryce) wins the Nobel Prize, The Wife centres the woman sitting next to the spotlight. Easily painted as the long-suffering wife working behind the scenes to support her husband, Joan Castleman (Glenn Close) insists it is "much more complicated than that." Directed by Björn Runge, and adapted from Meg Wolitzer's 2003 novel of the same name, The Wife is self-aware enough to know that the idea of a stoic, under-recognized wife is something of a literary cliche. Yet, there is something redeeming in the film's quiet desire to sit with, and complicate, the well-worn trope. Contained within the very title, Joan exists in relation to her husband, whom she stands by through moodiness, vanity and marital indiscretions. Even in flashbacks to her university years, where it is revealed she once had literary ambitions of her own, she is framed as Joe's student. It is a claustrophobic (though perhaps fitting) approach to the character, who grows increasingly frustrated with the sacrifices she's made. In a stunning performance, Glenn Close (and Joan) press up against the limitations of the story at hand. Just as Joan pushes back against the predictable ways she is perceived by the outside world, Close's restrained emotional vigour urges a film riddled with a certain predictability into more complicated depths. While she cannot quite transform the story into something more fitting and capable of holding her, it feels as if the screen might burst with quiet indignation as she goes.